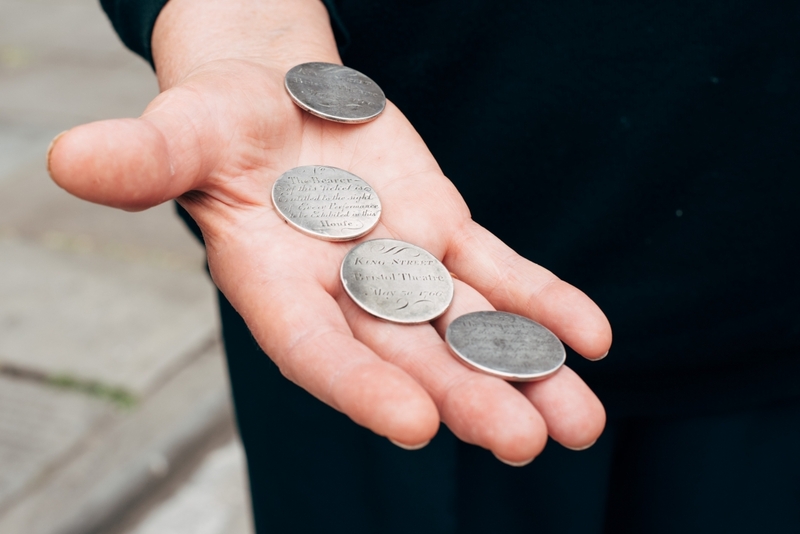 Each of the original Bristol Old Vic shareholders were given a silver ticket that promised ‘sight’ of any performance held at the theatre. The inscriptions give the ticket number and say: “The bearer/Proprietor of this Ticket is entitled to the sight of every performance to be exhibited in this house”. As the Proprietors were wily businessmen, they insisted that the silver tickets could be loaned or traded. This enabled them to make some extra money but made it extremely difficult for the Theatre managers to keep track of who was allowed to see shows for free - especially when people began making fakes.